Today’s breakneck pace of change has an immense impact on leaders – and as a result, on the organizations they run. All too often, people remain stuck in outdated mindsets and modes of operating, even after others recognize the need for change. Leaders need to learn to pivot even when there are no obvious signals guiding their way. Leadership expert Herminia Ibarra upends traditional, introspective advice and says act first – and then change your way of thinking. In this unconventional book, Ibarra, one of the world’s foremost experts on leadership transitions, provides the first practical guide on how to change when you also need to lead. Defying standard leadership development guidance, which encourages deep self-reflection into strengths and weaknesses, this book shows that the most effective way to change is through action, not analysis, and by learning from experience, not introspection. In short, it will teach you to change from the outside in by first acting like a leader and then thinking like one. Based on Ibarra’s flagship executive education program at INSEAD, this book is for new and seasoned leaders alike who need to understand the new rules for success in their own organization, and in the global business environment at large. It’s the essential guidebook for anyone who wants to upgrade their role or be the leader their organization needs them to be. How Successful Career Changers Turn Fantasy into Reality Whether as a daydream or a spoken desire, nearly all of us have entertained the notion of reinventing ourselves. Feeling unfulfilled, burned out, or just plain unhappy with what we’re doing, we long to make that leap into the unknown. But we also hold on, white-knuckled, to the years of time and effort we’ve invested in our current profession. 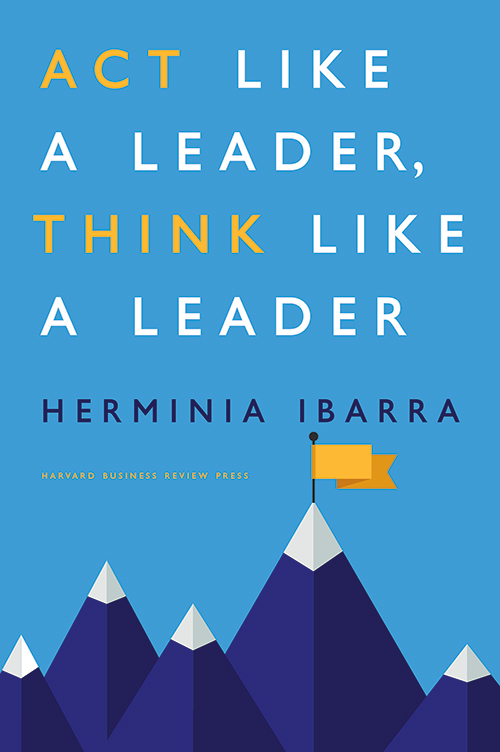 In this powerful book, Herminia Ibarra presents a new model for career reinvention that flies in the face of everything we’ve learned from “career experts.” While common wisdom holds that we must first know what we want to do before we can act, Ibarra argues that this advice is backward. Knowing, she says, is the result of doing and experimenting. Career transition is not a straight path toward some predetermined identity, but a crooked journey along which we try on a host of “possible selves” we might become. 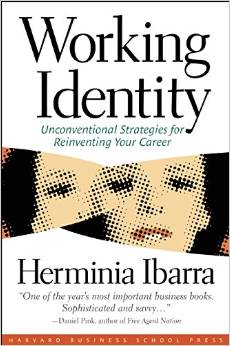 Based on her in-depth research on professionals and managers in transition, Ibarra outlines an active process of career reinvention that leverages three ways of “working identity”: experimenting with new professional activities, interacting in new networks of people, and making sense of what is happening to us in light of emerging possibilities. Through engrossing stories – from a literature professor turned stockbroker to an investment banker turned novelist – Ibarra reveals a set of guidelines that all successful reinventions share. She explores specific ways that hopeful career changers of any background can: Explore possible selves Craft and execute “identity experiments” Create “small wins” that keep momentum going Survive the rocky period between career identities Connect with role models and mentors who can ease the transition Make time for reflection – without missing out on windows of opportunity Decide when to abandon the old path in order to follow the new Arrange new events into a coherent story of who we are becoming. A call to the dreamer in each of us, Working Identity explores the process for crafting a more fulfilling future. Where we end up may surprise us.